This Word document with a split image looks great for a baby dedication certificate. The look and feel of the document is quite modern instead of very classic. It is so easy to download, just click on the 'Free download' button. You can either donate money for it, or just fill in a 'zero', no worries at all! Looking for a more classic baby dedication certificate template? 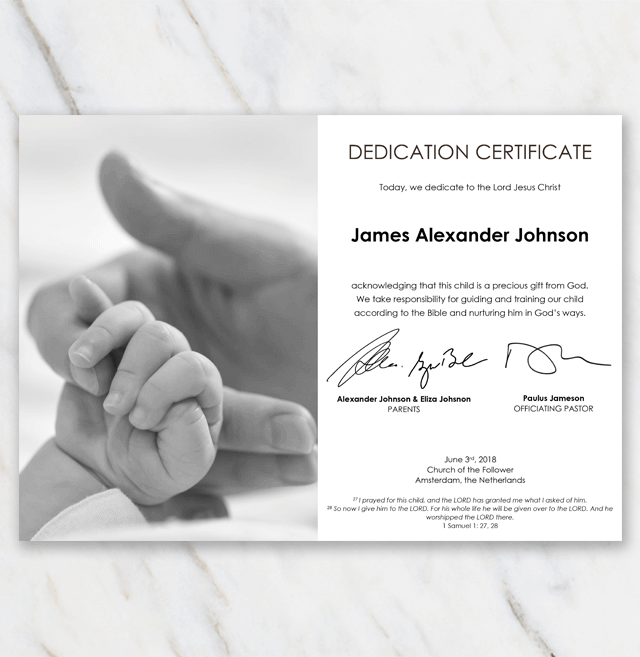 There are more templates to choose from on the baby dedication certificate template page.